There's always been at least one decent vinyl record shop in each overseas city I've lived in. Tokyo of course was inundated with them, Mexico City has quite a few (see post), and Bangkok and Beijing have about two each. And on my travels it's always a pleasure to stumble upon one. To my eternal regret, I never made it to Ulan Bator. I have seen a couple of 'Mongolian' bands - Huun-Huur-Tu and Hanggai (although neither are actually from Mongolia proper). Anyway... today I stumbled upon, if not a record shop, then a nice story about one. "Until recently, people in Mongolia had to travel more than 1,000km across the Gobi desert to Beijing to get to their nearest record shop. But this year, a new specialist store opened in the capital, Ulan Bator. Batbold Bavuu began collecting records by accident 10 years ago, rescuing them from rubbish bins at the music college where he was a student and from London where he studied sound engineering. Those discs formed the basis of his collection and the inspiration for his new shop, Dund Gol Records. Now he's put his 3,000 records on sale - an eclectic mix that includes Cuban tracks, Yemeni Jewish music, hip hop, Edith Piaf, pop groups from Belarus and rare state-sponsored Mongolian rock bands. 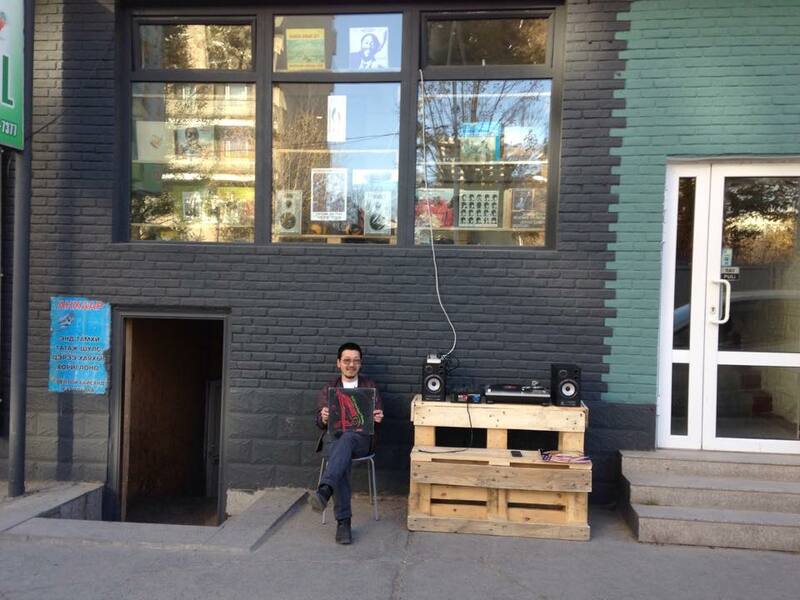 His mission: to make vinyl cool again in Mongolia".